Since opening our doors in 1894 we have understood that there is nothing more important than the safe delivery of our children. As a leading provider of maternity, gynaecological and reproductive care, our team is dedicated to creating an institution where women and their families receive the highest standard of care. In 2017, 8,433 mothers delivered 8,619 babies with birthweight greater than or equal to 500g; this was an average of 24 babies each day. On our busiest day, 26th July, 42 babies were born and on the quietest days, 11th February, 2nd April, 14th October, there were just 9 births. The corrected perinatal mortality rate was 3.8/1000 so 99.6% of babies >=500g survive. Our babies weighed and average 3,503g and our largest baby was 5,700g (over 12.5 lbs). Our smallest survivor was 420g – this spent 178 days in our Neonatal Intensive Care. 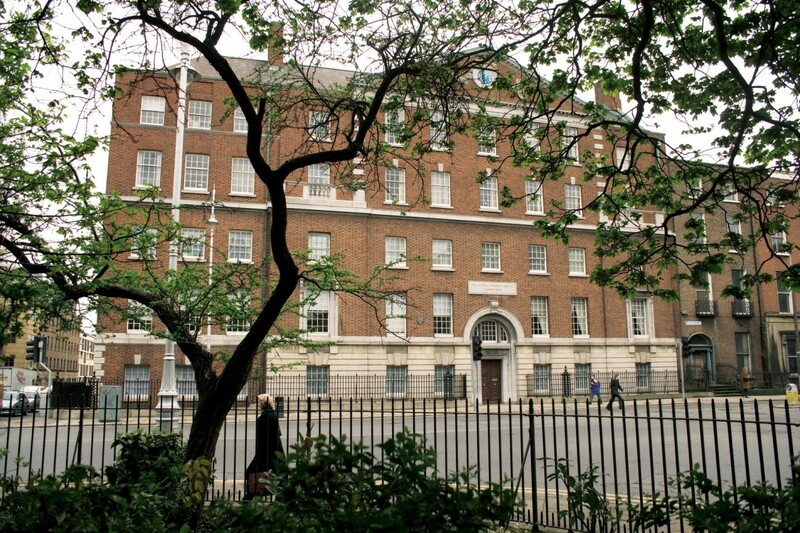 The National Maternity Hospital on Dublin’s Holles Street is now one of Europe’s largest maternity hospitals with 154 inpatient beds. The hospital provides Maternity, Gynaecology, Neonatology, Fetal Medicine, Anaesthetics, Pathology, Radiology, Maternal Medicine, Perinatal Mental Health, Urogynaecology, National Neonatal Transfer Service and Community Midwifery Services. The original focus of the service were the poor people of the districts surrounding Holles Street, however continuous change and growth from humble beginnings means that today, over 9,000 babies are born in ‘Holles St’ each year which means that one in every twelve Irish citizens begin life behind its walls. The hospital’s Neonatal Intensive Care Unit is recognised as a national referral centre for complicated pregnancies, premature babies and sick infants. Its Gynaecology unit treats over ten thousand outpatients annually. One of the hospital’s main sub-specialities is the treatment of Gynaecological cancer, its Colposcopy service is funded by the National Cancer Screening Service. It has one of the largest units in Europe for such a purpose. The National Maternity Hospital has built up a reputation for undergraduate and postgraduate training and holds international courses on the Active Management of Labour each year. The hospital also educates undergraduate and postgraduate midwives. There is also a very extensive professional development programme for midwives and nurses within the hospital. An annual higher diploma programme in Neonatal Nursing Studies is facilitated in conjunction with the two other Dublin maternity hospitals and the Royal College of Surgeons. On admission each patient will be given one green card for her partner (or nominated person). This card allows the named individual to visit any time from 8.30am – 9pm (except during mealtimes). The card must be produced at each visit. On admission each patient will be given two green cards for nominated persons. These cards allow the named individuals to visit any time from 8.30am – 9pm (except during mealtimes). A maximum of two people may be at a patient’s bedside at these times. ‍Children: Only siblings of the newborn can visit at any time from 8.30am – 9pm (except during mealtimes). This is to protect your baby and other pregnant women from exposure to viral childhood illness, for example the chickenpox.